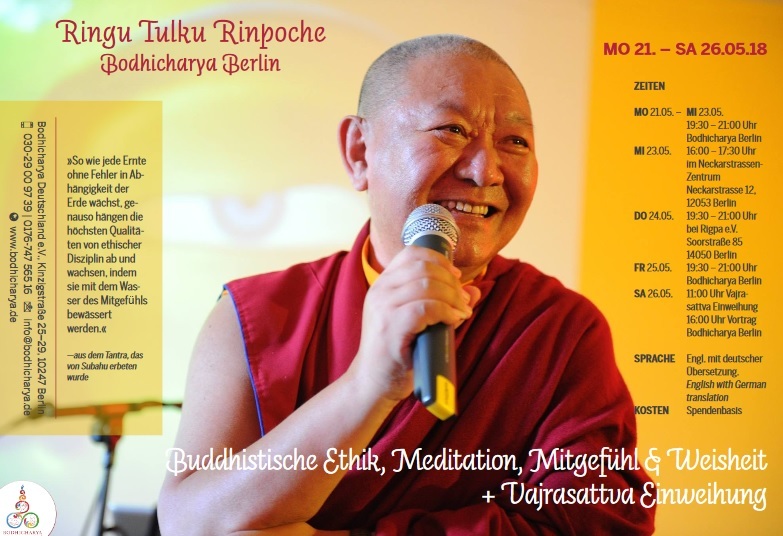 Rinpoche gave five sessions of teachings on various topics during his week-long stay at Bodhicharya Berlin in May 2018. During this auspicious week in the month of Saga Dawa, there was also the first inauguration of the structurally completed new stupa. – How are View, Meditation and Action related with the Eightfold Noble Path? – Are consciousness and the mind one and the same, or two separate things? – How does a Lung work; Can all the many practices that one has received from different teachers be combined into one? 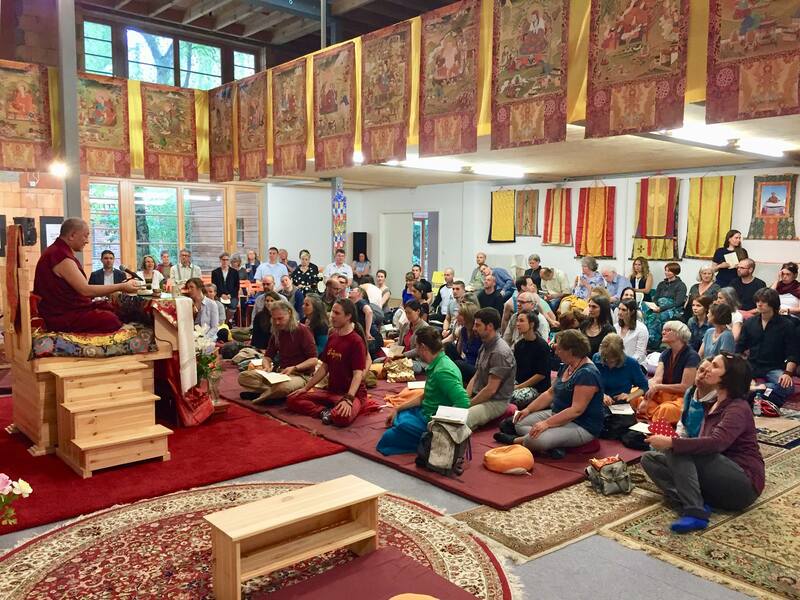 How should we do the Vajrasattva practice for which we received the initiation today? The summary here is according to the audio recordings. On video there is also some additional material, i.e. a talk and a guided meditation on the Buddha’s birthday, and footage from the stupa consecration. Photo thanks to Conrad Harvey.